You are here: Home / Covers / Gigi Hadid Enchants for Vogue Arabia’s Debut Issue – See the Photos! Gigi Hadid Enchants for Vogue Arabia’s Debut Issue – See the Photos! 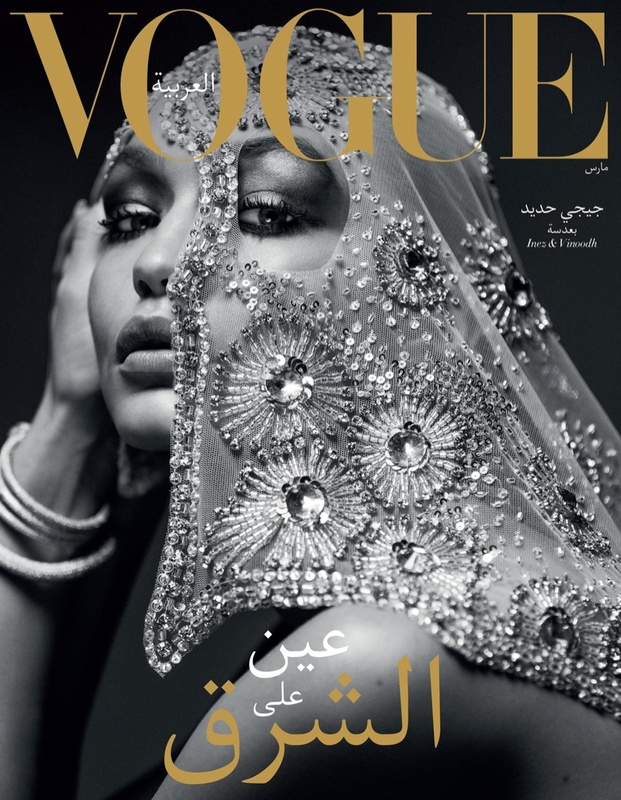 Marking Vogue Arabia’s first issue, model Gigi Hadid appears on the magazine’s special front and back covers. 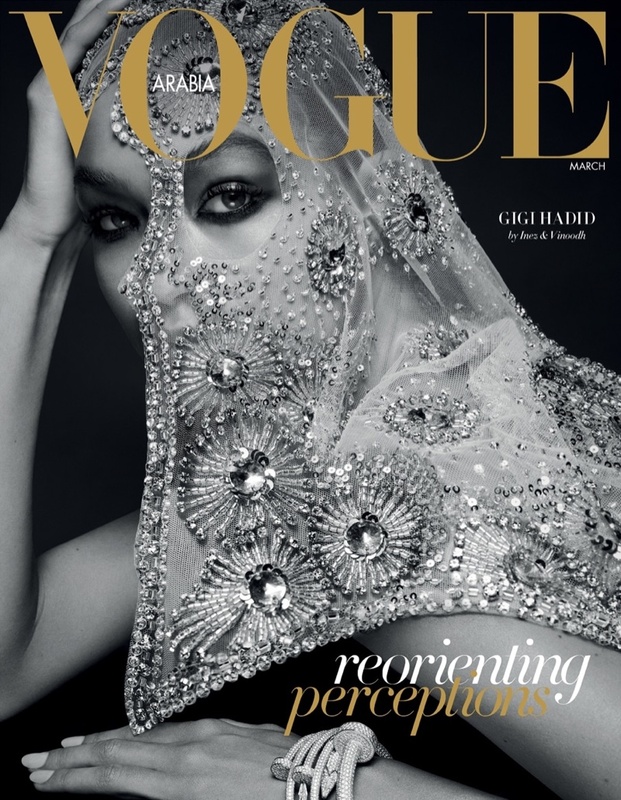 Photography duo Inez & Vinoodh photographs the half Palestinian beauty in a crystal embellished veil designed by Brandon Maxwell, according to Pop Sugar. In the accompanying spread, Gigi covers up in jewel toned fabrics. The 21-year-old also wears colorful makeup with a glossy pink lip and purple eyeshadow.